With the Online MBA with Data Analytics, you will acquire the knowledge to address the growing area of data science to work effectively at a senior, strategic management level, empowering organisations to achieve their objectives. In this day and age, data is very easy to gather and store; it's knowing what to do with it that presents an obstacle. You'll explore methods and techniques that enable identification of data to answer strategically important questions. You'll review organisational infrastructures for capturing and managing large volumes of data, and identify database and cloud-based technologies that enhance it. Finally, you'll explore issues such as ethics, privacy, and security. The course will equip students with the ability to address the gap many organisations have when it comes to managing big data – the lack of a structured and systematic approach to leveraging the value of big data. You will move through the well-proven CRoss Industry Standard Process for Data Mining (CRISP-DM) methodology for data analytics. You will also develop a strong appreciation of the impact of big data and explore methods and techniques that will enable your organisation to identify the most important data to answer strategically important questions and thus link big data to innovation. Why study an Online MBA with Data Analytics? The Online Master of Business Administration (MBA) is the most coveted and internationally recognised postgraduate management degree in the world, and there's a good reason why. It is widely recognised as a passport to a successful management career, enabling managers with a functionalist role to take on a more senior, strategic position, and empowering senior managers to gain the in-depth, strategic knowledge they need to climb even higher. This MBA is offered by Nottingham Business School and the School of Science and Technology. Visit the dedicated distance learning page for more information about our Online MBA with Data Analytics. 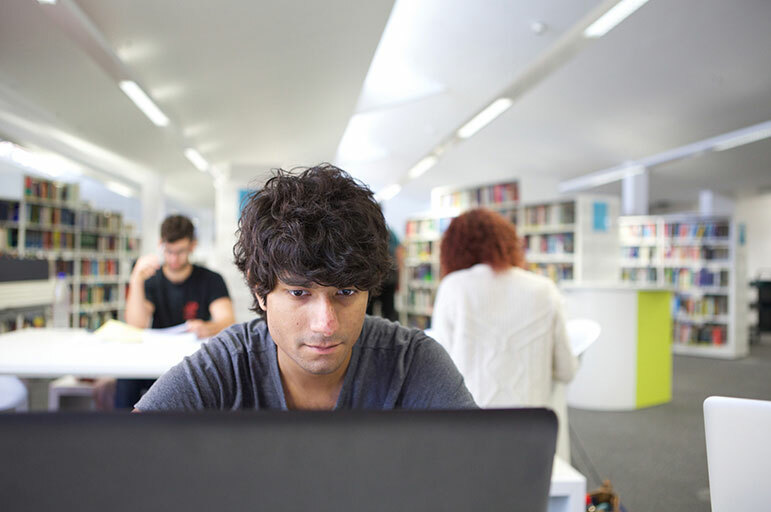 Virtual open day: We hold virtual postgraduate open events throughout the year. Find out more and book a place. You begin the Online MBA with the Professional and Leadership Development module, this will run alongside your studies from the outset and improves your reflective practice and personal development planning, concluding with you creating a targeted development plan. You'll then go on to complete the Responsible Leadership module which underpins your learning and knowledge for the rest of the course. Seven core modules can then be completed. These include The Values-Led Organisation, Global Marketing Management, Operations Management, Organisations and People Management, Financial Management, Business Information and Decision Making and Strategic Change Management. These modules are designed to give you a comprehensive foundation in fundamental management concepts. The Online MBA provides you the opportunity to personalise your study around your professional career development and goals. The four elective modules for the Data Analytics can be found in the module section below. This module will run alongside your studies from the outset. The module aims to improve your reflective practice and personal development planning. At the end of the week long induction you will create a targeted development plan. You'll then go on to complete two interconnected modules - Responsible Leadership and The Values-Led Organisation. These modules must be taken as the first two modules a they underpin learning and knowledge for the rest of the course. Develop the insights, capacities and skills to create and maintain responsible and sustainable business practices. You will be challenged to critically reflect on the ethical dimensions and sustainability considerations pertaining to various dimensions of business and management practice. The next phase of study consists of understanding the critical processes and success factors required to manage change effectively. This knowledge will then be applied to real business situations through either a team-based live consultancy project (which includes a one-week intensive residential) or an online simulation. On completion of the module you will understand the interface between ethics, CSR, corporate governance and integrated sustainability. Five core modules can then be completed. These modules are designed to give you a comprehensive foundation in fundamental management concepts. Critically reflect on the nature of marketing and the continuing relevance to the 21st Century global business world. This will foster an enhancement of critical awareness of the extent of the marketing scope and key contemporary marketing issues. Explore the complexity of the marketing environment which will develop wide-ranging knowledge of internal and external factors within marketing decision making. Develop a wider understanding of operations management through an understanding of the key principles and concepts. You will do this whilst developing a critical understanding of how those principles relate to operations management theory and practice which can be used to support of strategic decision making. This will improve your ability to evaluate and use theory and strategically focus the use of the tools in a range of operations environments. Designed to help you to critically evaluate internal and external financial information and to use this to appraise corporate performance and strategy. With a duration of 8 weeks, you will be engaging with a number of aspects such evaluating the role of value maximisation in corporate objectives, the role of financial strategy in corporate strategy amongst more. This module introduces you to the nature of data and information within and externally to organisations, and how information informs operational and strategic decision-making. This is achieved by understanding good data and information that supports key decisions as well as understanding the basic data types and analysis of issues that help create valid data and information for operational purposes. Draw upon insights from organisational behaviour that will develop knowledge and skills relevant to managing people in organisations. You will foster a critical understanding of the origins and change of classical management theory and its implementation in managing people in contemporary organisations. This will be done through understanding the management of people at individual, group and organisational levels. Focus on the nature of organisational change and its implementation to take an integrated approach to disciplines covered elsewhere on the programme while you investigate a real life organisational problem. An introduction to the statistical principles and statistical methods required for the analysis of large datasets. It will introduce hypothesis testing and its applications for initial exploration and visualisation of data and for predictive modelling. Statistical decision making is informed by an understanding of the uncertainty built into common statistical models. The module includes practical computer exercises to familiarize you with the concepts taught. Emphasis is placed on the appropriate selection, implementation and interpretation of statistical techniques. Develop and structure your understanding according to the stages an organisation moves through to develop and manage the infrastructure necessary to derive business value from large volumes of data. It will introduce you to the processes, techniques and technologies used to develop infrastructure so that they are able to manage big data and transform it into useful business intelligence. A number of key challenges faced by companies exploiting big data are also raised. Learn how businesses can derive innovation and thus value from large volumes of data. It introduces you to a number of methods and techniques that enables businesses to identify the most strategically important data. You will explore how businesses can align their processes, skills sets, and culture to leverage the data to answer strategically important questions and thus link big data to innovation. In addition, a number of key challenges faced by companies exploiting big data are raised such as those surrounding ethics, privacy and security. Develop yourself as a Data Scientist who is able to competently work with a variety of different data sets to extract, interpret and present meaningful information. The module takes a practical approach to teaching machine learning and you will therefore use the data mining package, WEKA to put theory into practice using realistic case studies and data, helping you to develop an intuitive grasp of the sophisticated mathematical ideas that underpin this challenging but fascinating subject. Throughout your time with us, you'll attend PPLD workshops, developing professional, strategic, transferable skills. Each workshop focuses on personal, professional or career development, spanning everything from emotional intelligence to creative job hunting and conflict resolution. Nottingham Business School is accredited for the quality of its business and management courses from the Association to Advance Collegiate Schools of Business (AACSB) and EFMD Quality Improvement System (EQUIS). Fewer than 1% of business schools around the globe hold both EQUIS and AACSB accreditation. This accreditation represents the highest standard of achievement for business schools worldwide, placing Nottingham Business School in the world top 5%. The accreditation recognises Nottingham Business School’s unique and dedicated approach to personalised and experiential learning. Visit the dedicated Online MBA with Data Analytics website for more information. Please note, this online learning course is not listed in our Postgraduate Prospectus publication 2018.